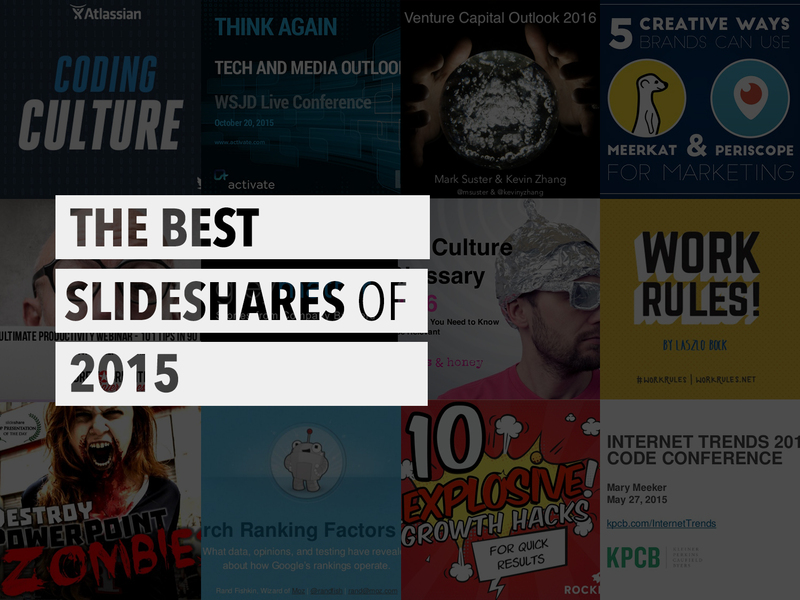 2015 was a record year for SlideShare. We reached more than 4 billion views to our site, thanks to users like you! We saw powerful, insightful decks and videos on everything from entrepreneurship and leadership to marketing and design. Tech analyst Mary Meeker published her annual Internet Trends report; venture capitalist Ben Horowitz’s commencement speech at Columbia explained why you shouldn’t follow your passion; Greylock Partners shared Reid Hoffman’s Blitzscaling lecture series at Stanford; and Google’s Laszlo Bock revealed how to make work rule. And of course, we can’t forget the professionals and companies who shared their expertise and experiences, from lessons they wished they had known early in their career; what the future holds in 2016; the current state of startups; and how to be a great product manager. Check out the most memorable SlideShares from 2015 (to see more Editor’s Picks, click here). How to Best Turn Around Yahoo! This deck by investor Dr. Eric Jackson recently made headlines for accusing Yahoo! CEO Marissa Mayer of wasting company money. His 99-slide deck shares his nine-point plan for how to turn the flailing company around. Among them? Bring in a new CEO; take headcount down to 3,000; and focus on finance and sports (while still leveraging its PC biz). This series by venture capital firm Greylock Partners has featured everyone from Airbnb’s Joe Gebbia to Mozilla’s Mitchell Baker and John Lilly. Be sure to watch these videos for insights from “company builders.” (Tip: Make sure to watch each video through to the end to see bonus blooper footage of the founders). If you want the latest on the world of tech, make sure to check out Tech News Today’s channel, where they post daily interviews on the most important tech stories of the day. 30 million presentations are produced per day, says presentation ninja Marta Kagan. The problem? Most are boring. Check out her 3-part formula to help you create your perfect presentation sandwich. ACE the PITCH! from Martafy! If you’re concerned about giving a monotonous presentation, this deck is for you. Assistant professor Eric Pesik shares how to leave your audience inspired with both your delivery and design. As a marketer, it’s important to find opportunity in new places. Digital strategist Ross Simmonds shares how to leverage live streaming with Meerkat and Periscope. Bring these tips to your CMO and you’re sure to impress. There’s no denying that the rules of SEO are always changing. Moz’s Rand Fishkin shares his takeaways from the year -- for example, links no longer have an overwhelming effect on ranking -- and the current state of modern SEO. This year marked the 20th anniversary of tech analyst Mary Meeker’s annual Internet Trends report. 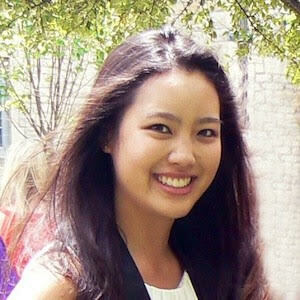 Among her insights? Mobile ads still have space to grow; millennials most value training and development in the workplace; and China local food delivery is one of the fastest growing on-demand services. Best-selling author Andrew Griffiths and productivity authority Sam Harrop share 101 productivity hacks you can use in 2016 (or for ambitious readers, the remainder of 2015). A few of our favorites: “Write a ‘stop doing list,’” “decide to decide once,” and “say no and mean it." Want to stay ahead of the curve in 2016? Check out agency sparks & honey’s culture glossary for the coming year (last year’s had an 83% accuracy rate). We can expect anti-artisanalism, increased appreciation of introverts, and theme park dystopia.